Recognizing a demand for premium suspension components tuned for the street with race car features like adjustable lowering H&R engineers rose to the challenge. 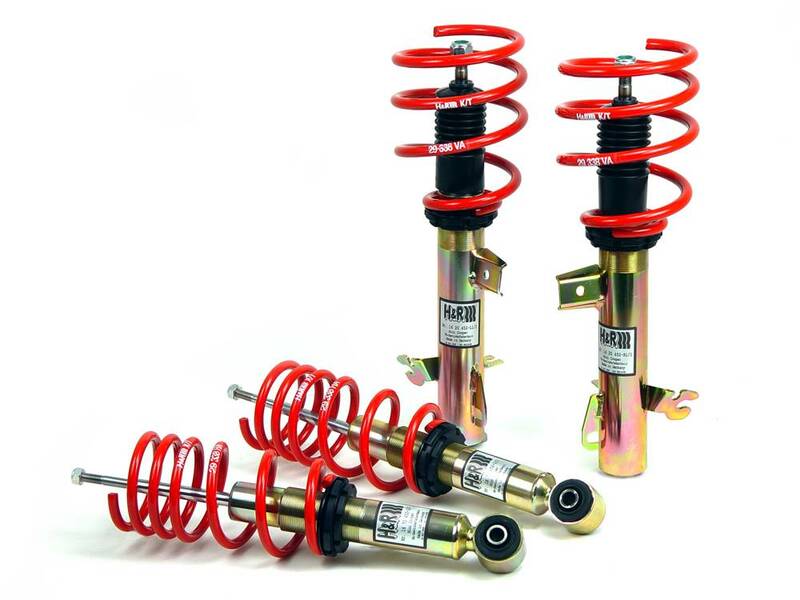 Received in the market with great success, H&R Coil Overs feature an innovative mono-tube gas shock construction. Using premium quality materials, H&R engineers fine-tune each coil over shock with a progressive rate spring to ensure better handling and premium ride comfort. Each vehicle specific coil over has a fully threaded, custom shock allowing for adjustable vehicle height. Vehicle lowering is altered using easy to adjust spring seats. Adjustable lowering accommodates summer and winter conditions and allows you to dial in the perfect ride height to fit your personal style. H&R coil overs are designed for performance, comfort, and durability using only the best components. For those drivers looking for refined suspension and a little German style, look no further than our diverse range of coil over applications.